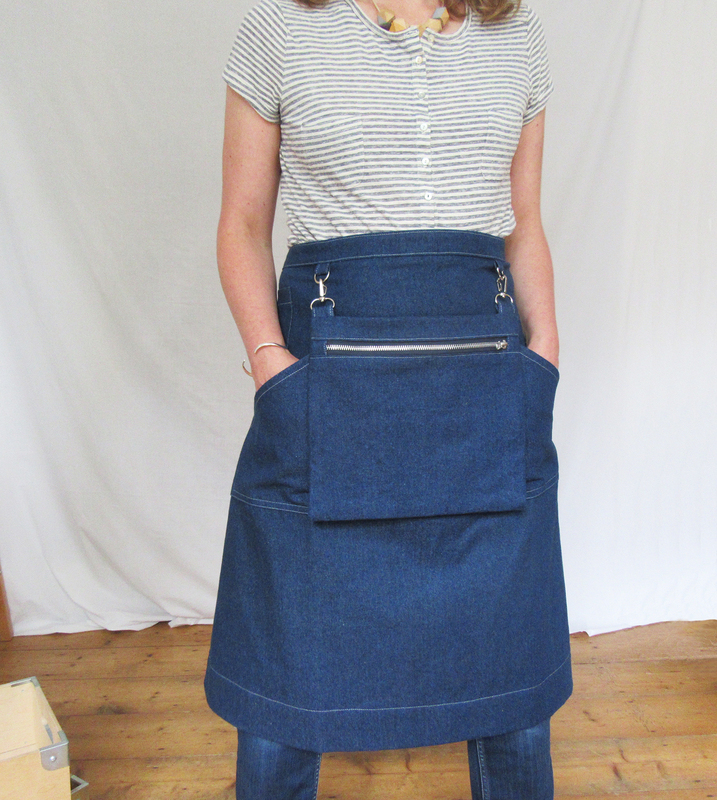 A chance remark by a glassmaker on Instagram, about needing big pockets for craft markets, was the ‘lightbulb moment’ for designing this apron. 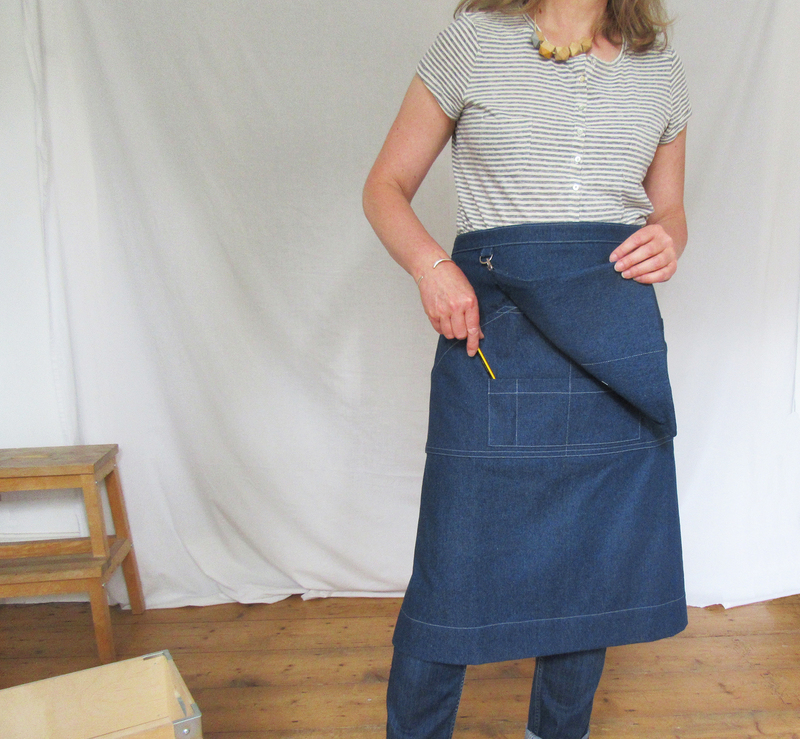 The aim was an apron that was brilliantly useful at craft fairs, beautifully made and intrinsically convey the wearer is a practicing artist/maker. 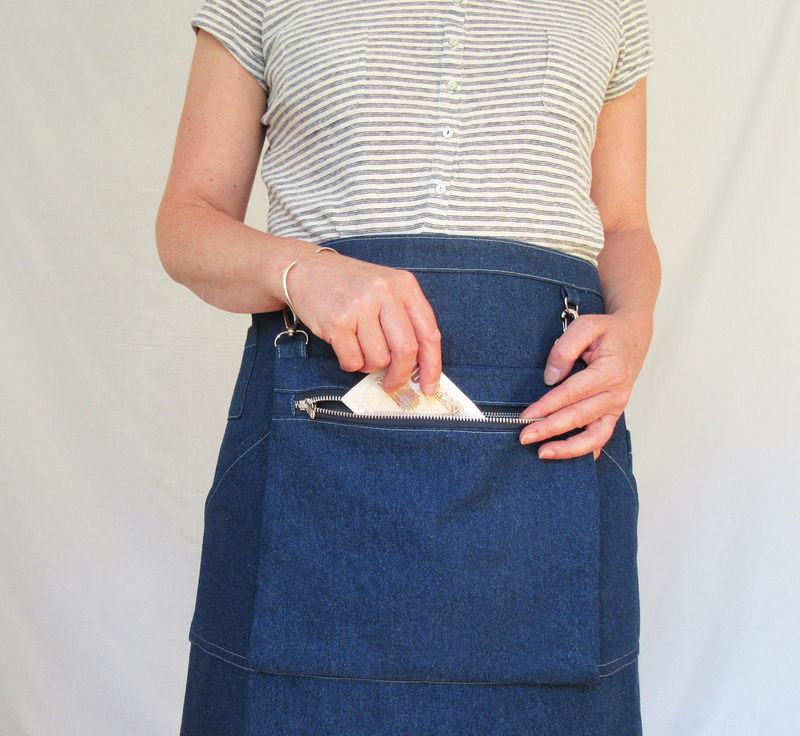 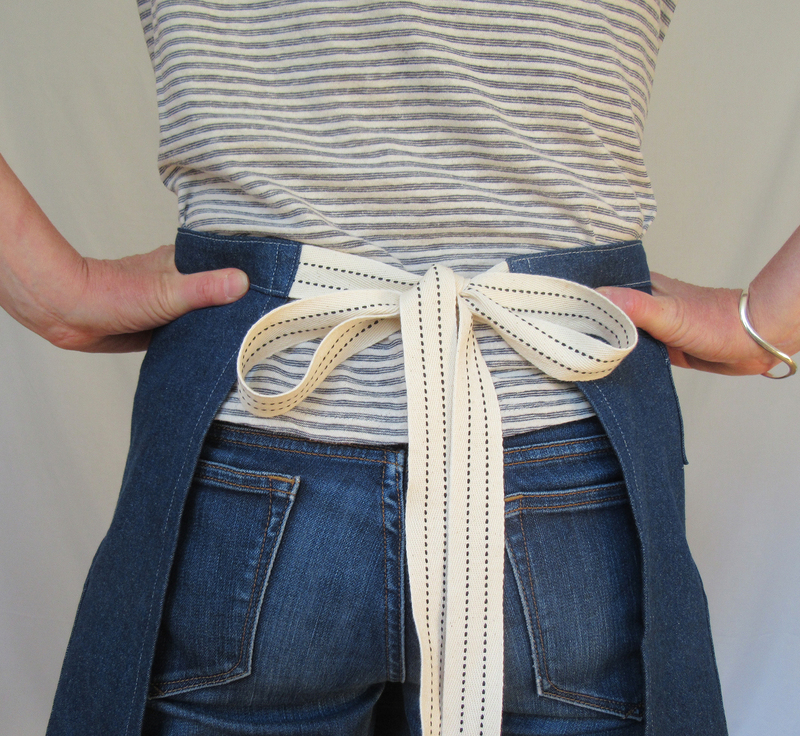 This entry was posted in New aprons, News and tagged apron, Aprons for Makers, Cash Bag, Craft Sellers Apron, denim apron, Etsy, Folksy, Half apron, Lisa Bennett, Makers Market Apron, No12 on August 31, 2017 by lisabenn.